Ask Granny has some useful tips for winter gardening. The grass doesn’t grow; it’s cold and often windy. So isn’t winter a time to let your whole garden lie fallow, while you stay inside and drink tea? Not at all. The keen gardener knows that winter is the time when you start to prepare for spring. Putting in the work now can make spring gardening a much easier experience – and every hour you spend with a trowel while the nights are short can be seen as an investment for all those lovely flowers and vegetables you will be putting in when the time comes. Much of your winter gardening routine at this stage is designed to protect your existing shrubs and features (a pond, for example, must be prepared for the really cold months); and to take advantage of the last colourful leaves of autumn. For example, your gardening checklist for November may include moving your potted shrubs and plants so that their fiery leaves may be enjoyed from the comfort of a warm armchair; or moving your roses so they take advantage of the shorter rays of the daytime sun. Now is a good time to maintain gutters on your shed or greenhouse. If you remove the build-up of leaves and cover the clean guttering with chicken wire, you will prevent a new pile clogging them through December and January. It’s also time to dig your soil through and apply fertiliser if you intend to do so. Get the crust broken and pull up some of that fresh new earth, then cover it with a winter coat of manure. This will prepare it well for spring. 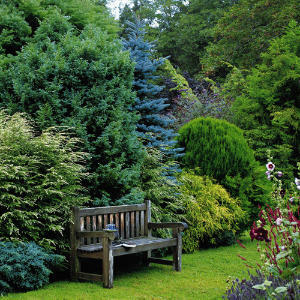 Plant your new trees or shrubs now and they’ll have plenty of time to settle into the warm earth before the real grip of winter sets in. If you have fruit trees, wait until the last of the fruit and leaves have dropped before cleaning with a spray wash. All modern washes are eco-friendly, but will kill off any disease spores, fungus or other microbial dangers. Your pond is getting itself ready for winter – but it needs your help. Fish will continue to feed if they are given the means, for instance: but if you do that they’ll stay awake too long and may die when the cold comes. Stop feeding them and they’ll slow up for their winter hibernation period. Get in a supply of sack or other covering material to protect sensitive areas of your garden from frost; and make a habit of scrutinising the weather forecasts. Preventive action will help maintain heat where it is needed, and can make the difference between a safe garden and a ruined one. You can plant winter flowers now; also the daffodils that will come up in the spring. If you intend to plant potted winter flowers, remember to add a layer of small rocks, gravel or even a smashed up polystyrene block – any of these will lift the roots away from puddles formed after rain or melted frost and snow. You can select a variety of colourful flowers at this time of year, including cyclamen and polyanthus – and if you choose some ferns or heather to mix in, you’ll create a beautifully toned display. RHS – the Royal Horticultural Society. The Helpful Gardener – does exactly what it says on the tin! Why is it so important to create a world wide web site for the over 50s? June 28, 2018 juliet Comments Off on Why is it so important to create a world wide web site for the over 50s? 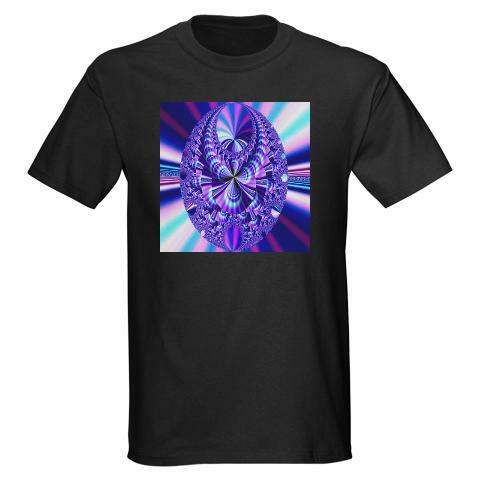 Fractal Shirts: Who Says Math Isn’t Cool? October 17, 2011 juliet Comments Off on Fractal Shirts: Who Says Math Isn’t Cool?